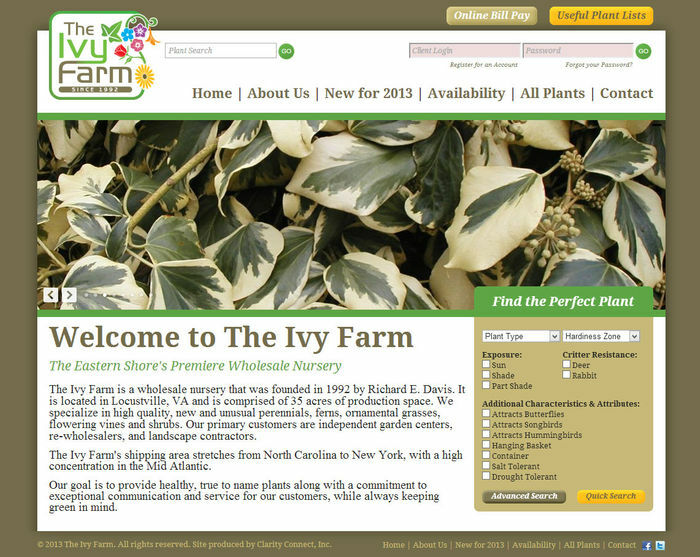 The Ivy Farm is a wholesale nursery that was founded in 1992 by Richard E. Davis. 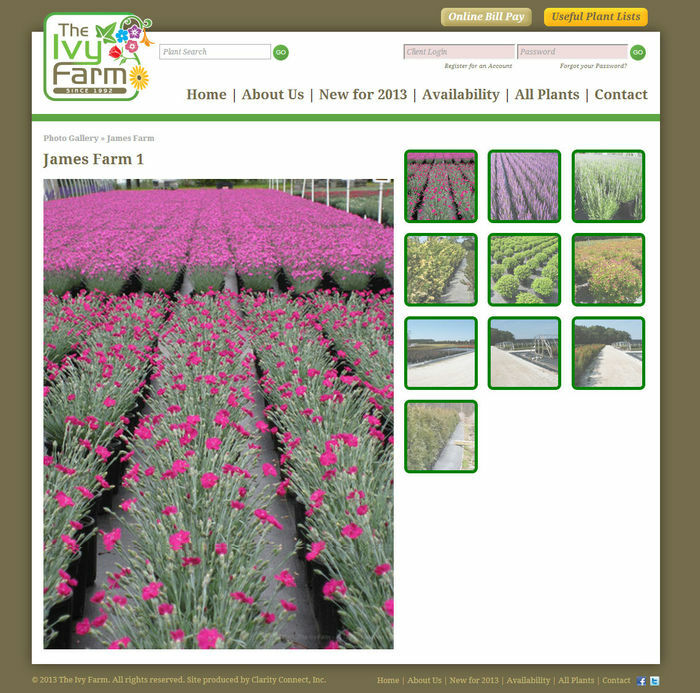 It is located in Locustville, VA and is comprised of 35 acres of production space. 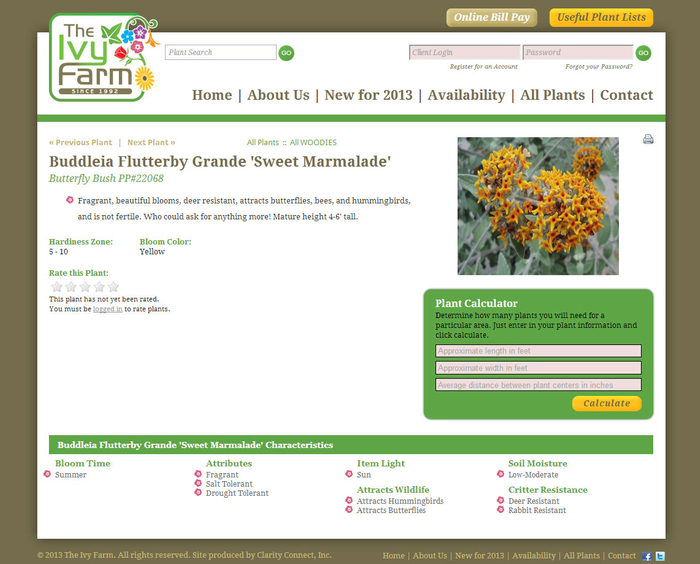 We specialize in high quality, new and unusual perennials, ferns, ornamental grasses, flowering vines and shrubs. 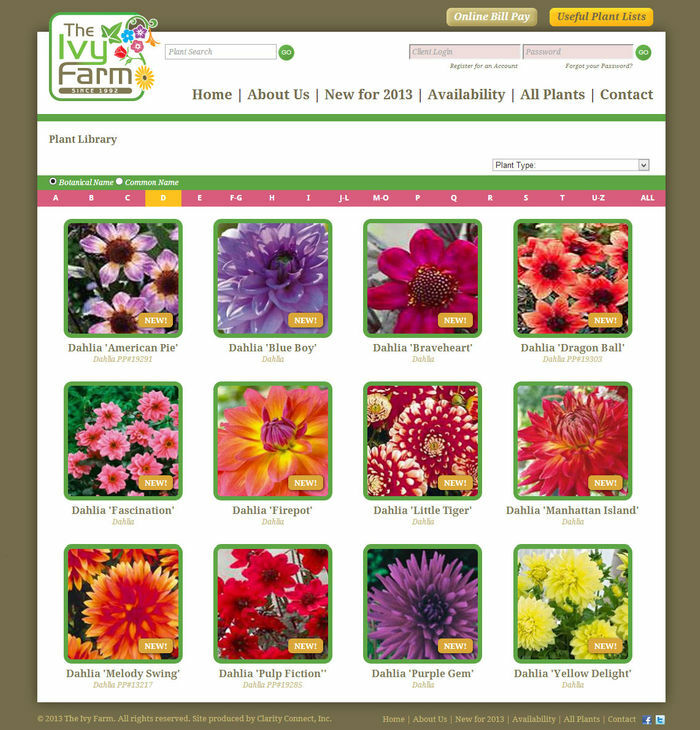 Our primary customers are independent garden centers, re-wholesalers, and landscape contractors.